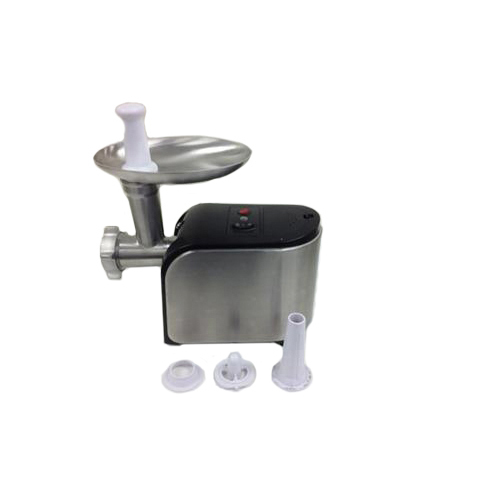 The Nesco FG-180 food grinder has a powerful 500 Watts/0.67 HP motor. The grinder has three stainless plates and blade. Additionally the grinder features metal gear box and gear shaft, motor circuit breaker and reverse function. The Nesco FG-180 has many exciting features for users of all types. You can extend the lifetime of your Nesco FG-180 with the purchase of a FactoryOutletStore Factory Protection Plan. The Nesco FG-180 is sold as a Brand New Unopened Item.